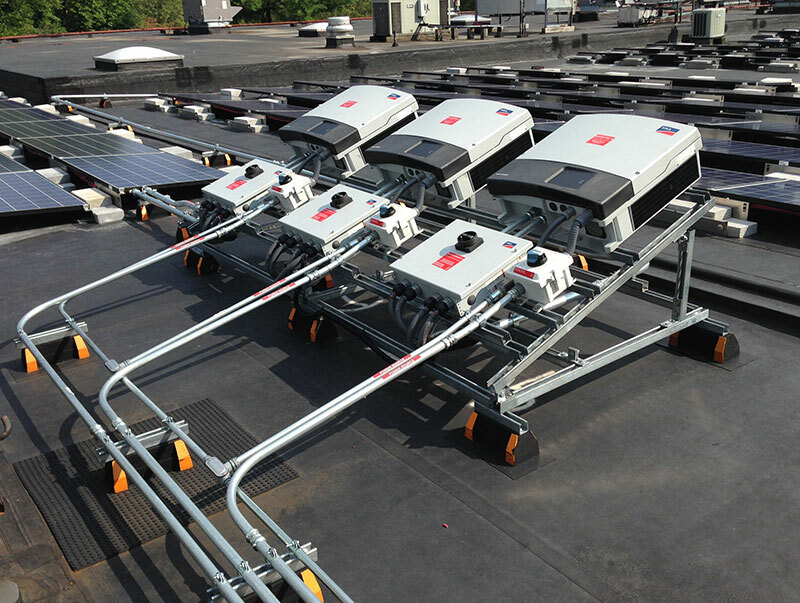 This photo is an excellent example of an inverter installation on the roof. Keeping the inverters next to the array allows the unfused string wires to be kept at a minimum length, increasing safety. Notice how the inverters are tilted to the north so they absorb a bit less direct sun at that angle (reverse of the reason modules are tilted south to take on more sun).